Andrew Selee says that the U.S. and Mexico have a close relationship, despite the recent conflicts. Knowledge@Wharton: What kind of impact is the NAFTA renegotiation having on the relationship between the U.S. and Mexico? Andrew Selee: The story I tell in the book is a story that I think is happening, which is we are getting closer to Mexico in the U.S., and most of that’s going on outside of government. It’s going on in the tech industry and in border communities, in the film industry and in manufacturing. There are all sorts of great things going on, but the noise that we have in politics is beginning to have an effect, and some of the policy disagreements around immigration and NAFTA do have the ability to pull us apart. I don’t think it will stop the relationships that have been built on the ground and the things we’re doing together, but I think it changes the tenor about how people in each country feel about the other — and that matters in the long-term. Knowledge@Wharton: General Motors announced it would make its new Chevrolet Blazer in Mexico. How important is auto manufacturing to U.S.-Mexico relations? Selee: The auto sector is the backbone of American industry. There are many important areas, but it really is a huge part both in terms of the number of workers and the value of production. You can’t find a car anymore in the United States that isn’t made in the three countries of NAFTA. The reason is that we really have an integrated manufacturing platform among the three countries. Most goods are now made in integrated processes across the three countries. You can still find a few things that are just made in one or the other. But increasingly you have workers in all three countries that are doing things together over time. We keep talking about American manufacturing, but to be competitive, we became a North American platform. And it’s really competitive. One of the things we worried about 20 or 30 years ago was about foreign cars taking over. There aren’t a lot of imported cars in the United States anymore. Almost all of the foreign car manufacturers make their cars in North America, and mostly in the United States but with a lot of parts sourced from Mexico and Canada. It’s actually a pretty big success story in the end. Knowledge@Wharton: How significant is the immigration issue right now? Selee: It’s a big issue, but it’s an issue that’s bigger in symbolic terms than in pulling us apart directly. It has a huge impact in the lives of the people involved. There are fewer and fewer Mexicans that try to cross the border illegally. There are still a lot of Mexicans that come legally to the United States through visas. But even the Mexican-born population in the U.S. is fairly stable right now. The number of undocumented Mexicans is dropping. It has been dropping for about 10 or 12 years. Most people coming across the border these days are Central Americans. The wave of Mexican immigration seems to be over, which surprises most of us. We keep waiting for the U.S. economy improvements. We keep waiting for Mexicans to start coming back again, but it hasn’t happened. Most Mexicans are choosing to stay in Mexico, and Mexicans living here are choosing to go back, which is surprising. The politics of immigration has become so divisive in the United States and between the two countries. The idea of trying to deport people who’ve lived for 20 or 30 years in the United States is something that Mexicans worry about if they have family that fits in that category. There are real disagreements about how to handle the Central American flows. Mexico has been deporting a lot of the Central Americans themselves, almost as many as the United States has. But in the end, that rubs against the desires of many people in Mexico who’ve experienced migration in their own families. 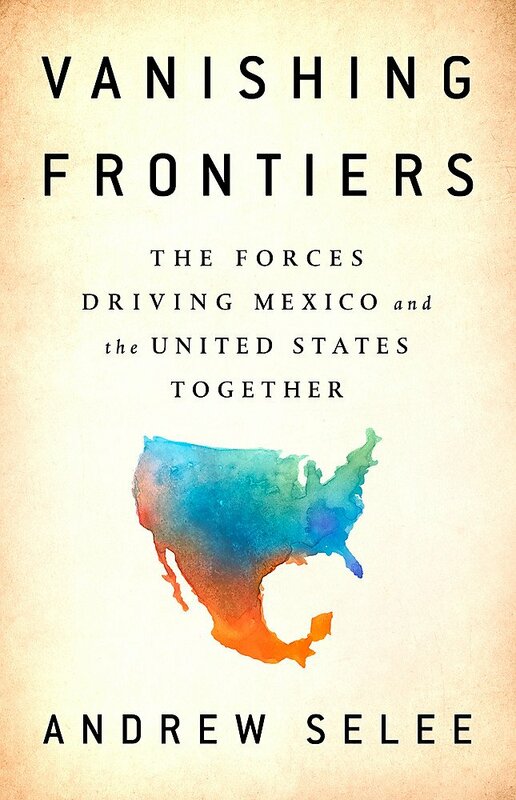 So, there’s a real tension there about how to manage the border and whether Mexico wants to become the front line of defense for immigration for the United States or not. Knowledge@Wharton: You profile Hazleton, Pa., which has been the focus of discussion about migration. The city’s Hispanic population has surged in the last 15 years, and officials tried to enforce the removal of undocumented Latinos. Selee: Hazleton is a fascinating city that was torn apart by immigration politics back in 2006, when it passed the first local ordinances against renting to or hiring anyone who couldn’t prove their legal status in the country. That got overturned by the courts, but it became a hugely divisive issue. It also became a symbol for the immigration debate. It’s a city that went through really fast demographic change. There were Mexicans and then Dominicans that moved in. Now the city is almost half Latino — not all immigrants. A lot of the kids and teenagers are American-born. But it has gone from being almost all white to being about half immigrants and children of immigrants in the space of two or three decades. There was a lot of change and a lot of turbulence around that. It’s also a city that’s coming out better on the other side and where you see incredible innovation. The city had a largely abandoned downtown area and stores that closed. Now there are stores everywhere and restaurants and small businesses of all kinds — mostly immigrant-owned. Not surprising, immigrants are twice as likely as native-born Americans to start a business. There seems to be something in the DNA of the self-selection of people who cross borders to want to take risks. In Hazleton, you see a city that’s really coming back but also still coming to terms with that really fast change. What got me to go to Hazleton originally was this other story. There are now four Mexican-owned factories in Hazleton. You see in Hazleton what is this new flow in the last 10 years or so of Mexican capital flowing across the border and investing in companies that hire American workers. Suddenly, you have Americans working for Mexican companies in a city that once had this huge immigration debate, and you just see how complex all these relationships are. Knowledge@Wharton: What do you see as the path for NAFTA? Selee: The NAFTA negotiations have become really bogged down. There are two or three issues. The U.S. essentially has insisted on most parts of cars being made in the U.S. and Canada by saying workers have to make $50 an hour, which is unlikely to happen in Mexico. The U.S. also wants a sunset clause, so NAFTA would have to be re-upped every five years. The Mexicans and Canadians won’t go along with that. The U.S. decided to put tariffs on steel and aluminum from Mexico and Canada. The Mexicans found this ironic because Mexico is a net importer of American steel. It’s an area where the U.S. has more steel than Mexico. Nonetheless, we’re in the beginnings of what looks like a trade war. NAFTA’s negotiations have ground to a halt, although the latest news I’ve heard on this is that they are starting to ramp up again and having some conversations. I think in his heart President Trump would love to get out of NAFTA. He campaigned on it. I think he viscerally doesn’t like trade agreements. But all of his advisers and his cabinet secretaries are telling him this would be disastrous for the United States. I think his advisers are right. His agriculture secretary is saying this would be terrible for American farmers. He’s hearing it from governors who depend on the auto industry. This is a lot of his base who’s saying, “Look, we’re with you on getting tough on trade, but please don’t pull out of an agreement that is a big part of how our workers live and how our companies survive. It would be a real disaster if we pulled out.” I think we may end up with an agreement in the end because of that. This is so embedded now in our economy. It would be hard to get out of it. Knowledge@Wharton: President Trump has also talked about stopping the flow of illegal drugs coming into the United States from Mexico. I would think that’s a problem that both nations want to solve. Selee: It really takes two to tango on this one, and there’s a positive story and a not-so-positive story in what’s happened. Drugs are about the weak rule of law in Mexico. It is relatively easy to run a drug operation in Mexico and escape the law. It’s gotten a little harder to be a big, invisible group than it used to be, which is good. But there’s still a lot of violence in Mexico and a lot of groups that are making money in the drug trade. But then it’s about demand. American consumers want the drugs, and that’s why the cartels exist. The money that comes from drug sales in the United States flow back into Mexico to feed the cartels and the violence. So, it has taken two to tango. There was a real coming-together a few years ago by the two governments to figure out how to share intelligence, how to monitor the movements of these organizations, and then begin to take them down and disrupt their operations. It’s a partially good story in that most of the big drug cartels are a lot smaller today. There are a lot more cartels, but they’re smaller. That’s good because there’s no group big enough to challenge the Mexican government or to walk into Dallas, Tex., and commit murder with impunity. Having smaller groups is good for national security and good for public security on both sides on the border. But in Mexico, the violence continues. I think two things happened: We took our eyes off the ball in both countries in following up. Then heroin popped in, and synthetic opioids, some of which are not controlled by Mexican cartels but by Chinese groups that go through Mexico but largely use the postal system and couriers. It’s a whole different drug trade. As heroin began to really explode in the United States, you saw the effects in Mexico. Heroin had been a small business for most of the cartels, often a side business. Suddenly, there’s this fight underway to control it, and that has been awful in terms of violence. Knowledge@Wharton: How will the relationship continue to grow, despite the tricky politics? Selee: One of my favorite stories in the book is about Tijuana and San Diego deciding to join forces to have a single airport. San Diego has a tiny airport downtown. It’s great if you’re trying to get to downtown San Diego, but you can’t expand it. For years, they were trying to figure out where to build a bigger airport because they really wanted to be a city of innovation and a global city that you don’t have to go up to L.A. every time you want to fly to China or anywhere else in the world. They decided that they were going to use the Tijuana airport. Tijuana has a giant airport. It had flights to Asia, and it’s right on the border. All you need to do is build a bridge from San Diego into the Tijuana Airport, and it becomes a bi-national airport for the two countries. That’s exactly what they did. It opened two-and-a-half years ago, and it has been used I think 4 million times now. It’s used by people in both countries, but primarily in San Diego. You can go across and catch flights into Mexico but also into other places in Latin America and Asia. He’s not criticizing the president, who wants to build the wall, but he does want to tell him that we do things differently here. I think that’s the future. I think the politics of the moment will change on both sides of the border, but the reality is there’s a lot of really creative things happening in this relationship. It’s happening in local governments and state governments, and especially in the private sector and in cultural industries. The federal governments in the two countries can make this better or worse. They can interfere. They can do things that make people happier about the relationship, then regulate what happens. But in the end, a lot of this stuff that’s happening is with or without governments.